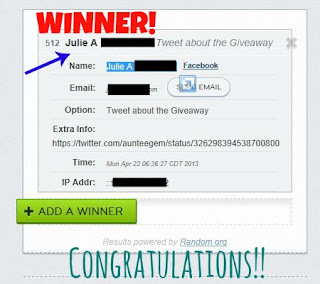 Congratulations to Julie A (entry# 512) for winning the giveaway sponsored by Huggies! You’ll have 48 hours to reply back to the email I sent to you in order to confirm that you are a winner. And a big thank you to all that entered this contest. If you didn’t win today, don’t worry. Keep checking back. 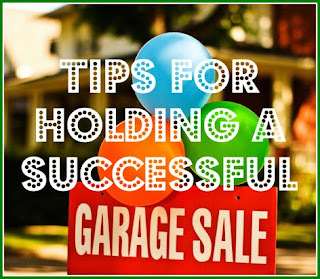 I am often picky about my giveaways and only offer ones that I personally endorse or feel would be beneficial to my readers. So on that note: My giveaways are 100% honest … and 100% AWESOME! If you’re a Huggies fan … then check out these awesome deals going on at Walgreens right now…. One of my husband’s first (and favorite) jobs was working for Binney & Smith (aka: the Crayola factory) in Winfield, KS. The factory, unfortunately, has since closed. But Crayola is still very much in production! In fact … Crayola is celebrating their 110th birthday! And if anyone knows how to throw a party … it’s Crayola! 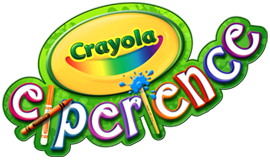 In fact, the 8 original crayons are throwing a birthday bash at the new "fun-omenal" Crayola Experience - the world's only interactive Crayola family attraction - and they want you to come party with them! The Crayola Experience, located in the heart of downtown Easton, Pennsylvania, is where the magic of Crayola and color come to life. It’s a place where you’re always encouraged to let your creativity run free, to color outside the lines, and to play, explore, and learn. 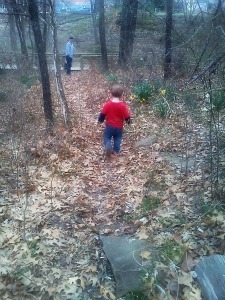 Exploring is one of our family’s favorite things to do together. Most of the time we call it "adventuring" – but the boys will sometimes refer to it as exploring. Others call it hiking. Whether you’re going to a short little nature trail or a 3+ mile hike … exploring our world’s beauty is one of the most rewarding and healthy activities you can do with your family. If you’ve raised children, you know how important it is that the diaper you’re using, lives up to its promise. 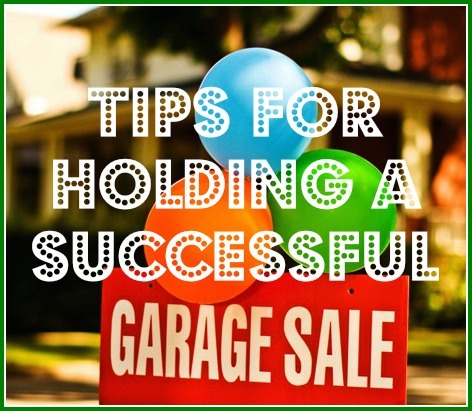 I’ve tried everything from generic store-brand diapers to the purple box diapers, to cloth diapers. 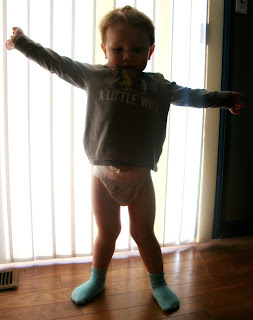 It wasn’t until I tried Huggies that I was finally satisfied and comfortable enough to trust the brand I was using. I travel a LOT. Whether it’s for family vacations or for work or for my daily bus route – my children are in a vehicle for hours every day. 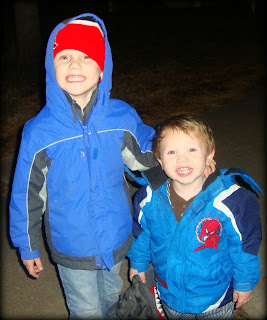 I’ve raised my children to be travelers and they love it almost as much as I do. But with this come long car/bus rides, flights, and days. I had to find a diaper that I trusted well enough for our traveling needs. Don’t fret, I change my little guy frequently … but sitting in a diaper for any amount of time is kind of like taking a soaking wet towel and ringing it out. It’s going to leak. How perfect that today’s letter for the A-to-Z Challenge is "D". I have a great DEAL for anyone that wants to take advantage of some UH-MAZE-ING slippers!! It’s Springtime! So how are you going to celebrate? 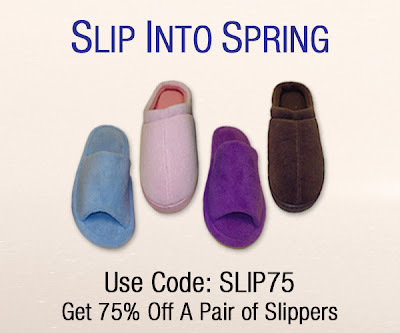 How about celebrating with Nature's Sleep and get a pair of slippers or two or three at 75% off! 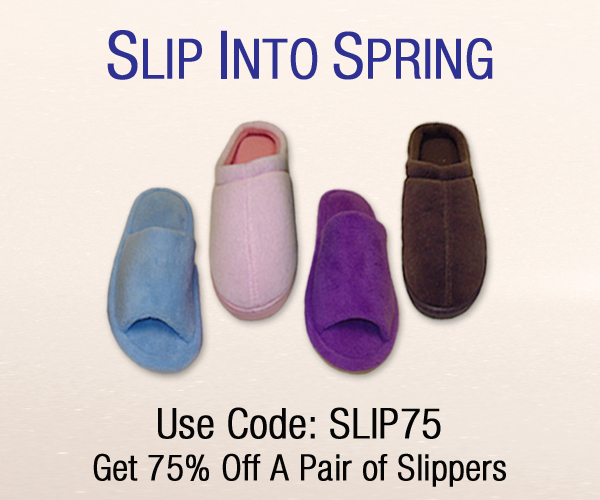 Let your feet be pampered in memory foam and bring in Spring in comfort and style! Check out Nature's Sleep today to start walking in comfort! Disclaimer: This post was brought to you by the letter "D". I am participating in the A-to-Z Blogging Challenge. Keep following to keep up with me! My life is Chaos and Crazy ya’ll. I’m not even messing with you. I am constantly running from point a to point b and then back again to start it all over. I wake up and I don’t stop. Here’s what a normal day is like for me…. I wake up, get dressed, shower (if I’m motivated), get the boys loaded (thank God my husband is a saint and wakes up early to get them dressed), put us all on the bus, finish my morning route, come home, get Christopher to go potty on the potty chair, fix breakfast, eat breakfast, get Chris to go potty on the potty chair, do dishes, help Cash with his letters/number, get Chris to go potty, fix snacks, eat snacks, get Chris settled for drawing/painting, pick up round one of the toy tornado, get Chris to go potty, fix lunch, read, get Cash dressed, take Cash to preschool, come home, get Chris to go potty, rock Chris to sleep, make the beds, write a blog, catch up on my emails, fix the bag (milk and snacks) for the afternoon route, get dressed, wake Chris up, load him on the bus, Cash gets dropped off at my bus after school, finish my afternoon route, take Chris to the potty, play a game, get supper started, take Chris to the potty, find soccer or baseball cleats, fix a snack, fill up the water bottle, take Cash to soccer or baseball practice, wait til Cale gets there, take Chris to the park until Cash is done, go home, take Chris to the potty, eat supper, cleanup, play for a bit, start the baths, make Chris go potty, read < 3 books, tuck Cash in bed, rock Chris to sleep, finally say hi to my husband, talk for 5 mins, go to bed. And then when I wake up … I do it all over again. I know that is mediocre compared to what some people do on a daily basis. But for me, this is craziness. And evidently "normal". I wouldn’t know what to do on a day when we had nothing to do. My life is Chaotic and Crazy and I love every bit of it! Right now though … well …. I’m getting ready to CRY because I’m leaving that chaotic and crazy life to go spend 5 days in Orlando for a conference. You feel bad for me right? Disclaimer: This post was brought to you by the letter "C". I am participating in the A-to-Z Blogging Challenge. Keep following to keep up with me! My kids sit directly behind me while I drive the school bus. Not because they have to … but because I want them to. I’m pretty sure the bus is where I learned my first curseword – along with many many other things that I can’t say because I forgot to make my blog an Adult Content blog. Anyway, that’s the reason why. Maybe I’m sheltering them, but it’s like a friend of mine said, "I want "stupid" to be the worst word they know for as long as possible". Cash: "What did the ghost say when he slammed his finger in the door?" Cash: I got a little booby. Me: Hahaha! That’s a good one! Cash: What did the kitten say when she was done painting her picture? Me: I have no idea …. What? Me: Hahaha! Purrr-fect. I get it! Cash: I have ONE more … you want to hear it? Me: Well of course I do! Those were funny! Cash: What did the cow do when he got to the top of the ladder? Me: Hmm …. He mooooooved out of the way? Cash: No. That’s not very funny. Cash: He had some diarrhea, hahahahahahaha! So that’s that. A day of riding the "B"us with my "B"oys. It's never a dull moment. Disclaimer: This post was brought to you by the letter "B". 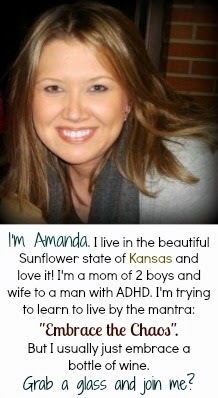 I am participating in the A-to-Z Blogging Challenge. Keep following to keep up with me! In T-Minus two days I will be in route to Walt Disney World with a great group of traveling women. No I am not taking my family. Yes you can criticize all you want. But when it comes down to it … you’d do the same thing! But in all honesty, almost my entire trip is paid for. So you tell me if you’d pass it up! Anyway, back to the reason for this post. On my way to Orlando, I have a layover in Atlanta. Do you know how popular the city of ATL is right now?!? 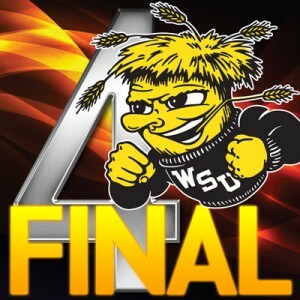 The Final Four is being played there this weekend. Not only that, but Wichita State University is playing in the Final Four game on the 6th against Louisville. I’m not going to say there’s a slim to none chance they can’t win that game. They’ve already knocked off a #1 seed AND a #2 seed. So right now, anything is possible with these young men! My retreat ends on Saturday the 6th and I am seriously, SERIOUSLY considering coming in a day early to Atlanta to attend the Final Four game on a press pass. When else can I say that I saw one of my favorite college basketballs teams play (and hopefully WIN) their Final Four game?!?!? But here is the dilemma … when else can I go to Walt Disney World SANS my children, and enjoy the parks at my own pace. I mean c’mon, it’s WDW! So … what would you do? 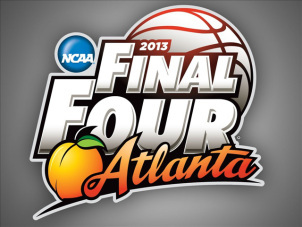 Would you stay in Disney World an extra day or would you head to Atlanta to watch your favorite basketball team play in a Final Four game? Disclaimer: This post was brought to you by the letter "A". 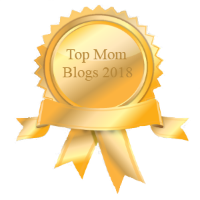 I am participating in the A-to-Z Blogging Challenge. Keep following to keep up with me!